Here at iSki our aim is to make it as easy as possible for you to be able to find the perfect ski holiday. Give us a call on 0203 7780 123 or use the search facility on our site to find what you are looking for. Just drop us a call on 0203 7780 123 or email us here and tell us what it is that you are looking for. Then sit back and relax whilst we do all of the leg work. 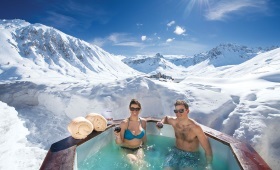 We will then come back to you with a tailored shortlist of suitable ski holiday options available with iSki. What could be easier? From expert skiers to beginners, from large groups to families, or even just a couple going away by yourself, do not hesitate to give us a call and we will more than happily help. Book with Confidence through iSki. iSki are Members of ABTA. This means we follow ATBA's Code of Conduct, and you have the benefit of ABTA’s assistance. iSki is an Accredited Body Member of Hays Travel Ltd, ATOL 5534.